Acquisition of BookF1.com provides Motorsport Network with a digital ticketing platform poised for global expansion as part of Motorsport Experiences. LONDON, UK - May 10, 2018: Motorsport Network’s global expansion continued today with confirmation of the acquisition of BookF1.com, the biggest digital ticketing operatorin the U.K. for Formula 1, the World Endurance Championship (BookWEC.com) and MotoGP (BookMoto.com). 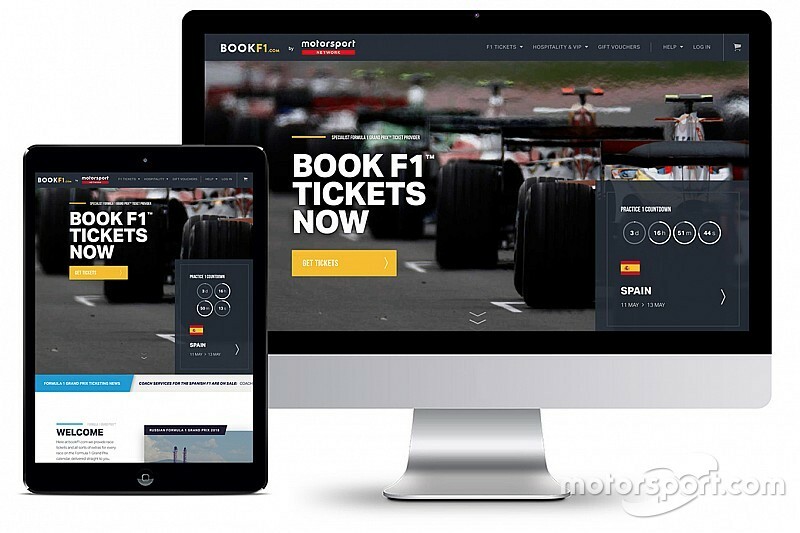 BookF1.com was founded in 2003 and since this time has established itself as the leading ticketing and travel operator servicing motorsport fans. The company provides a range of services from general access tickets to premier corporate hospitality in the Formula One Paddock Club, plus associated packages spanning event parking, transfers and accommodation. As part of Motorsport Network, BookF1.com has significant growth capacity by expanding its ticketing operations into the 21 markets in which the Network has a presence, as well as providing the capacity for BookF1.com to speak to fans in Motorsport Network’s 17 languages. The acquisition extends to BookF1.com’s CRM database which will provide Motorsport Network with new cross-selling opportunities while enriching the services that the company provides to its audiences. The expansion of BookF1.com will commence in key European markets including France, Netherlands, Germany and Italy initially and will be led by Paul Deason, the founder and CEO of BookF1.com, and will be operated under the new identity of Motorsport Experiences. The travel and ticketing packages offered by Motorsport Experiences will form part of bundled offers to motorsport fans that span premium content via subscriptions to Motorsport.com, Autosport.com and Motorsport.tv and magazine titles F1 Racing and Autosport, as well as a variety of photographic products offered by MotorsportImages.com, the world’s richest and most extensive motorsport archive containing over 18 million images. Paul Deason, BookF1.com’s founder and CEO, said: “We have grown BookF1.com organically for the past 15 years. I am very proud of what we have achieved, including our expansion into MotoGP and WEC, while always keeping our focus on high quality customer service. This is demonstrated by our many loyal customers who return to us each year.